This is not something about a theme that has the colors looking totally different. It is a simple trick that would invert all the colors in your iOS device. For Mac, there are keyboard shortcuts and even apps like Nocturne which does the same job, but in the iOS devices like the iPhone, iPad and the iPod touch, you can do that through a simple accessibility option. 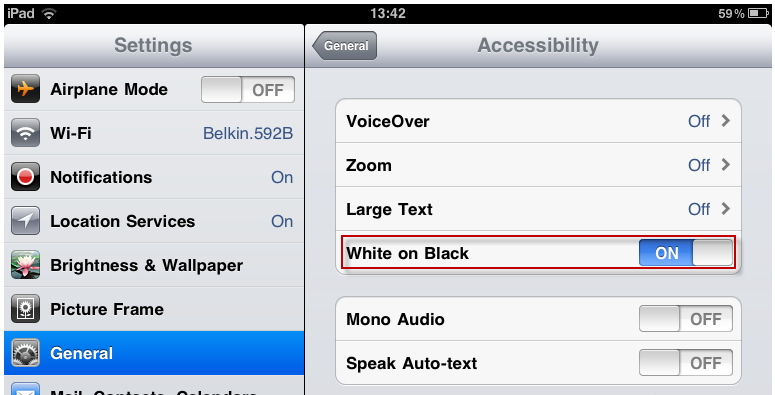 There is an option called “White On Black”, which is the option that you should select to change the colors on your iOS device. The white becomes black, and the black becomes white and the same with all the other colors. We have included the video to show the colors changed, because the inverted colors don’t show up in the screenshots that we captured. There is no developer or user help you would be getting with this option, but one simple use I found with it is that we can check out the pixels and any damages that might have occurred on the screen of the iPhone or iPad.